The 2018 E8 OLED positions LG as an AV player that’s still in the lead when it comes to image quality but not necessarily as sharp when it comes to other, broader aspects of the home entertainment package. By now, you’ve probably heard the hype around OLED. Short for organic light emitting diode, OLED is a (relatively) new display technology that lights up when an electrical current is passed through it. However, unlike traditional LCD LED TVs, this process can be controlled and managed on a more granular, pixel-by-pixel level. This allows for a more-accurate reproduction of a wider color gamut and allows those colors to more-accurately reflect brightness. It also allows for a better reproduction of black pixels in darker scenes, as those individuals can be turned off rather outright. While LG isn’t the only vendor offering OLED anymore, there’s still a pretty clear reason that - when it comes to OLED - they’re the brand that you’re probably going to want to look at first. After all, they got to OLED first. And this year, that means looking at LG’s E8 OLED (which our review paired up with LG’s SK10Y soundbar). 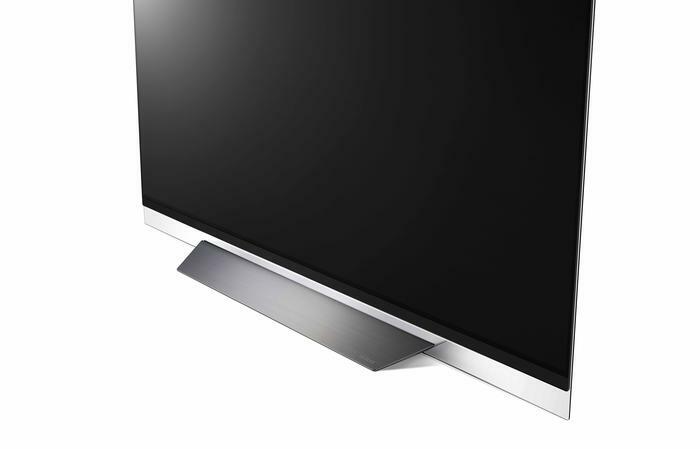 The E-series OLED sits below the Signature W-series but above the more-affordable C-series. It’s not quite their flagship model but that’s not to say what’s on offer here isn’t impressive. Peak brightness: Approximately 800 nits. Dimensions: 57.7" x 2.4" x 5.8"
Subwoofer Dimensions: 8.7" x 15.4" x 12.3"
In terms of design, there’s not a huge amount separating this year’s crop of LG OLED from their annualized predecessors. At least, that’s the case when it comes to external looks. 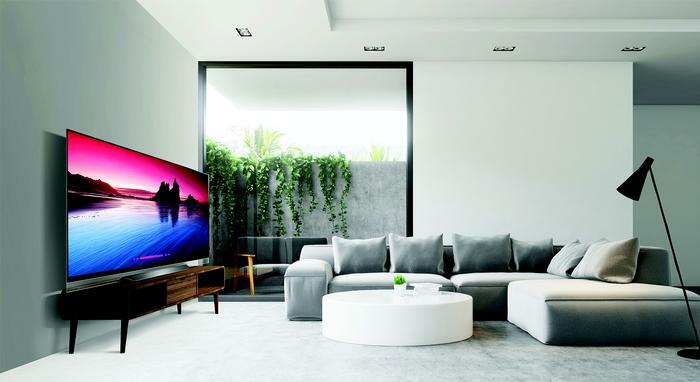 While the company’ signature W-series of OLED’s offers up a futuristic, wall-mounted paper-thin glass display and the C-series offers up a more conventional approach, the E-series falls somewhere between the two. 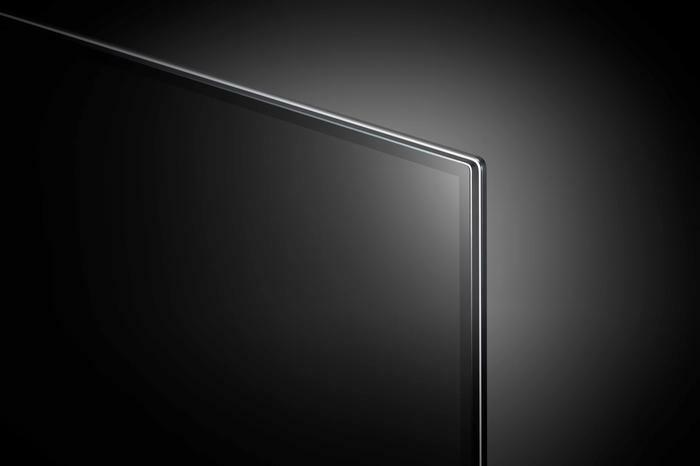 Like the flagship Wallpaper OLED, you’ve got an ultra-thin OLED mounted on a sheet of glass but like the C-series, the E8 is held upright by a more conventional metal stand (though wall-mounting is an option) and comes with built-in speakers - but not the Dolby Atmos ones found in the C8. As with their other and previous OLED offerings, the E8 comes powered by LG’s WebOS smart TV UI. Controlled by the company’s Magic Remote, WebOS is probably still one of the better smart TV UI’s out there (alongside Samsung’s Tizen). There’s a great coherence to the design logic of the interface, the app support is really good and it all comes together really smoothly. Unfortunately, for various reasons, I often found the experience a little too finicky for my liking - especially when it came to navigating between video sources and apps using the Magic Remote. Your mileage might vary here (WebOS definitely has its fans) but, in execution, this felt a lot closer to waving around a Nintendo Wii remote than it did using a proper mouse. It lacked precision, it lacked weight and it felt overly-sensitive. In fairness, most of the time, I could pretty easily point and click on what I wanted to watch. However, far too often, I found myself accidentally clicking on the wrong input. When it came to using services like Netflix, it was usually much easier to just tap the Netflix key on the remote than it was actually navigating with the pointer. These grievances aside, though, WebOS still has a lot to offer. Out of the box, this smart TV interface supports most major streaming platforms, including Netflix, Stan, BigPond Movies, Google Play Movies, 9Now, Amazon Prime Video, Eros Now, Youtube, YuppTV, ABC iView, SBS OnDemand, MLB.TV and WOW TV. Additional streaming apps are available via the WebOS app store. If you’re after something more niche, it’s not impossible that you’ll be let-down by the what’s available on the WebOS store but - at a glance - it's hard to find fault in the extensive software library here. In the past, LG have emphasized the technical merits of their OLED panels as a point of difference over competing brands. However, with the entry of Sony and Panasonic into the OLED arms-race, LG have shifted tactics. It's no longer just about having TVs that look better but also about having TVs that "ThinQ" better. 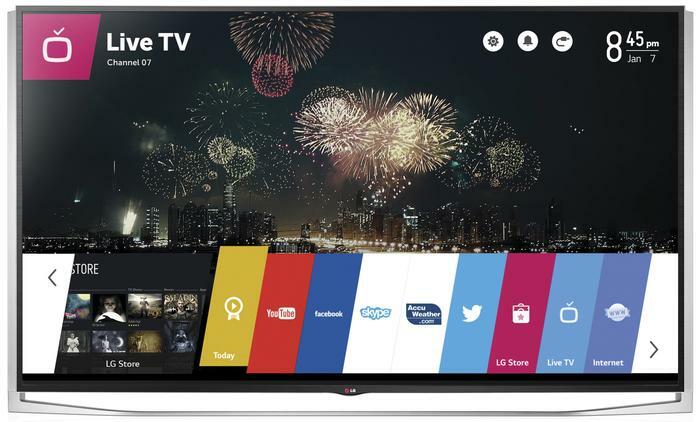 Every TV in the company's 2018 TV range now comes with support for easy voice control via a microphone on the LG's Magic Remote, E8 included. Unfortunately, the reality of this brave new era of yelling at your TV isn’t quite as seamless or useful as you’d hope it would be. There’s a reasonably lengthy list of things you can do with LG’s ThinQ natural language processing platform (which powers the voice controls) and, as far as these things go, it’s ability to understand what you’re saying is pretty consistent. It’s not 100% perfect - none of these voice systems are - but generally it manages a pretty high-level of accuracy. Accordingly, using your voice to jump into or change specific settings like the volume, input source or picture mode works very well. However, telling your TV to play anything more specific or tossing it a more advanced query usually just nets you a short list of vaguely-relevant Youtube content. As a result, the actual value that these controls offer kinda pales in comparison to what it could be, given wider integration with either like the Google Assistant or Amazon’s Alexa. There’s lots of stuff you can do with the ThinQ voice controls here but not a huge amount of reasons to opt for it over the other options - and the fact that you have to trigger it manually using the microphone button on the remote further undercuts a lot of the potential efficiency. Why press the microphone key, ask your TV to launch Netflix and wait for the TV to follow through when you could just circumvent the whole process by tapping the Netflix button on the remote? LG say that their 2018 range of TVs will be upgraded via software update to incorporate the Google Assistant later in the year. However, for now, it’s missing in action. When this update occurs, users will be able to speak to the Google Assistant using the Magic Remote microphone. Interestingly, this upgrade won't overwrite the way that the microphone is configured. You'll still have to push a physical button to bring the Assistant to attention - which does raise that same tautological quandary but - in theory - this seems like it’ll still be a definite improvement to the experience. The last part of the picture here is the new a9 processor. Versus last year's OLEDs, the new processor in the E8 reduces noise twice as effectively and renders more realistic colours. It also boasts more-advanced Look Up Table (LUT) mapping capabilities and support for up to 120 FPS video. In terms of how content looked on LG’s E8 OLED, we’re probably going to be planting our flags firmly on the ‘OLED is the future’ side of the home entertainment category. With the caveat of my own limited exposure to with OLED (astute readers may notice the E8 is the first OLED TV I’ve had the opportunity to review) on the table, I can confidently say that I came out my ten-day review experience wanting to own one of these. OLED, that is. Maybe not necessarily this one - but definitely an OLED. Proper HDR, Dolby Vision and 4K content running on the LG E8’s UHD display looked gorgeous. The absolute blacks give every frame a striking-as-hell contrast and the wider color gamut allows for colors so rich that sometimes feel like you you want to reach out and touch them. Our watchlist here included the usual suspects and a few newcomers. More specifically, it included Guillermo Del Toro’s Pacific Rim plus the 4K and HDR-mastered first season of HBO’s Westworld. The former here proved a great showcase for the earth-sharking home cinema experiences that LG’s E8 OLED and SK10Y soundbar are equipped to deliver. 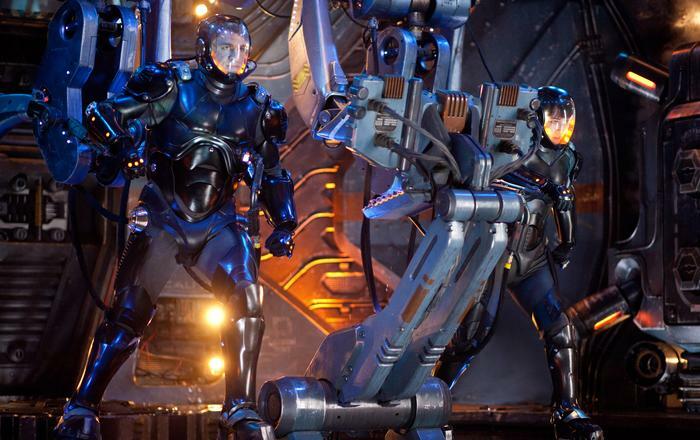 The tremendously-scaled and colorfully neon-lit action of the former looked phenomenal both in interior shots where Idris Elba and Charlie Hunam’s characters stomped around The Shatterdome and the extra detail and color really brought out the anime influences behind the film’s epic action beats during the Hong Kong fight scene. Meanwhile, the rustic and rural landscapes HBO’s Westworld came through with a surprising amount of extra pop. The absolute blacks added a lot of extra impact to the series’ eerie and atmospheric opening credits sequences and almost-completely changed the visual palate of nocturnal sequences. 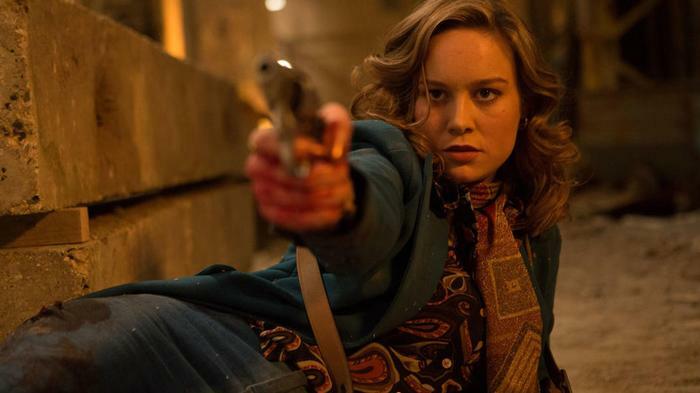 Netflix content like SAFE also looked really good, as did upscaled FHD content like Ben Wheatley’s Free Fire. 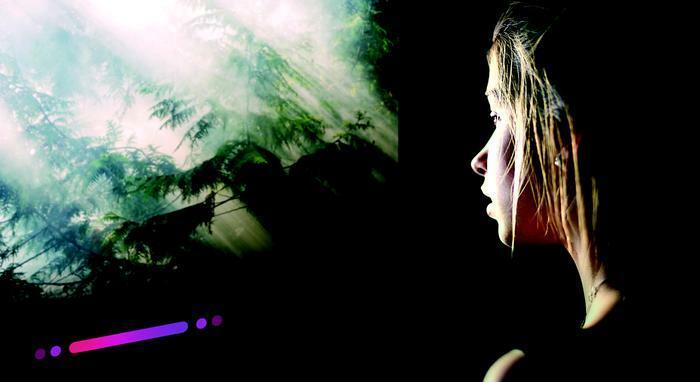 Both came across with clear visual detail and while the difference between the 4K and 1080p content remains night-and-day, it still made for a significant improvement in the quality of my household’s everyday home entertainment experience. Again, as someone who hasn’t really spent a huge amount my off-time watching things on an OLED TV before,I came out of my time with the E8 very impressed with what LG are offering. If you’re already one of the converted, that’s maybe not super-surprising to hear - but it is the most honest reaction I can really give about this product. It also maybe hints at who this TV is ultimately intended for. More on this later. Let’s take a quick look at the SK10Y soundbar. While the on-board speakers in the LG E8 OLED are far from inaudible, LG also hooked us with their SK10Y soundbar for the duration of our review period. These days, soundbars are increasingly popular addition to home theatre setups. If you’re already looking to spend thousands of dollars on an LG TV, why not pair it up with an LG soundbar designed specifically to complement it. So goes the marketing logic - and so goes our review. While, again, the speakers on the E8 did deliver a perfectly adequate listening experiences (seriously, they sounded-surprisingly good! ), they ultimately came across as a little meek next to the cinematic roar of the beastly SK10Y soundbar. The SK10Y comes with a wireless subwoofer and the option to expand things further via a set of wirelessly-connected rear speakers. However, with the impact the former made I’m not necessarily sure most will get all that much extra value from the latter. Out of the box and wired up to the E8 via optical or HDMI cable, this thing sounded incredible. All the usual bells and whistles you’d expect from an LG soundbar are here and accounted for: Dolby Atmos decoding, 24-bit hi-res audio upscaling, 4K passthrough and built-in ChromeCast support. 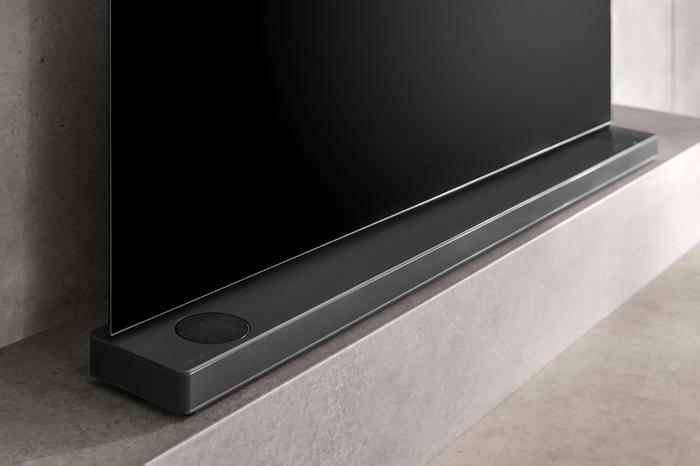 The biggest advancement here versus last year is that LG have inked a new partnership with audio brand Meridian to tune the output of the soundbar. Accordingly, when you’re listening to the SK10Y soundbar, there are a whole bunch of different modes available. 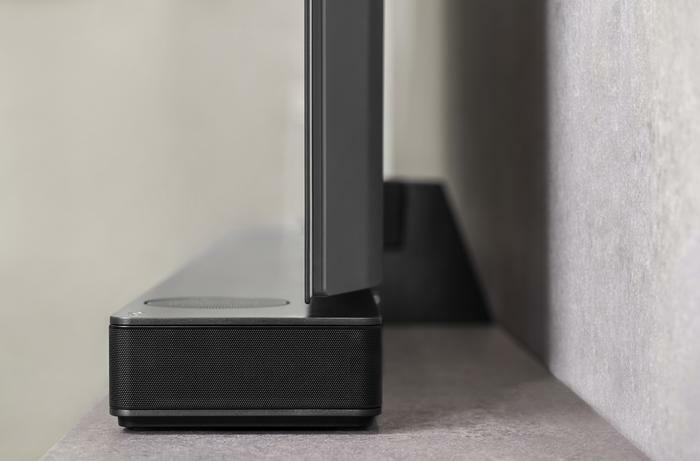 Options are nice and there’s a good range here, allowing you to find the best one to suit the environment the soundbar is set up in and the content you’re watching. Regardless, my experience found that bass boost is the one you’ll probably want to leave your soundbar in for the most part. It made even casual viewing experiences more immersive and gave dialogue that little bit of extra punch it sometimes needs to break through the rich soundscape you get out of prestige genre series like Westworld. The only real irk I had with the SK10Y is that I wish it didn’t require a separate remote and that it could be more-easily manipulated using the ThinQ voice controls on the E8. Given what JBL is doing with their upcoming Link Bar, it would also be nice to see a version of this product that comes with on-board Google Assistant or Alexa integration. Personally, this TV has made me a believer when it comes to OLED. At least, when it comes to picture quality. If you’re a person, like me, who has been sitting on the fence and waiting for the OLED market to mature a little, this seems like an ideal time to hop that fence and cash in. With the caveat that Sony and Hisense have yet to fully reveal their hand when it comes to a local OLED offering, it doesn’t sound that crazy to say that the picture quality and overall cinematic experience offered by LG’s E8 is likely to sit second to only the company’s flagship Signature W8 OLED. Paired up with the SK10Y soundbar, it proved an absolute treat to review - and would be a blast to own. However, that’s not to say there isn’t room for improvement nor that there aren't any other options worth considering - not just in terms of LG’s 2018 competition but even the 2017 crop. While the extensive software library of WebOS was appreciated, both its new voice control scheme and LG’s Magic Remote left me wanting. If you’re the kind of person who cares about picture quality but doesn’t see it as be-all-end all or someone who could take or leave the voice controls, it feels like you’re probably going to be about 90% as satisfied with this year’s E8 as you would be with the 2017 equivalent. Accordingly, if you just bought an OLED from last year's range, there's probably not enough here to justify an upgrade. Minus the proper, promised integration with Google Assistant or Alexa, the 2018 E8 OLED positions LG as an AV player that’s still in the lead when it comes to image quality but not necessarily as sharp when it comes to other, broader aspects of the home entertainment package. The LG E8 OLED is impressive as hell to see in motion and would make for a solid cornerstone of your next home entertainment setup but, for the high-asking price, it’s hard not to want a little more.